management capabilities and a mobile responsive design. 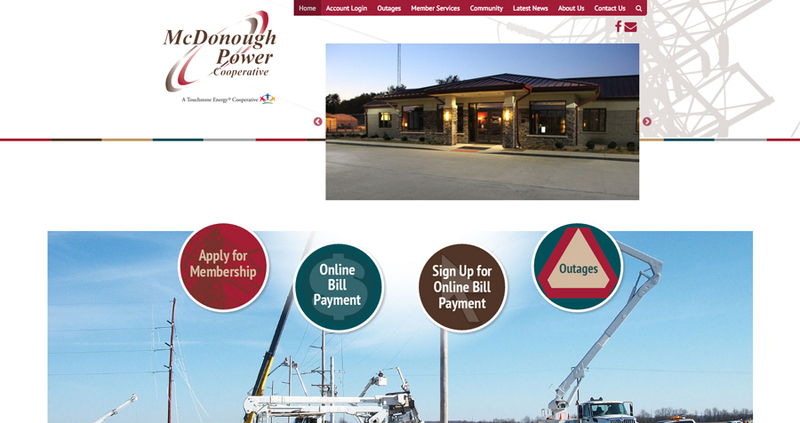 McDonough Power Cooperative, headquartered in Macomb, Illinois, is a consumer-owned corporation that supplies electric power to members in portions of Fulton, Hancock, Henderson, Knox, McDonough, Schuyler and Warren counties in West-Central Illinois. More than 5,000 households and businesses receive power from McDonough Power. 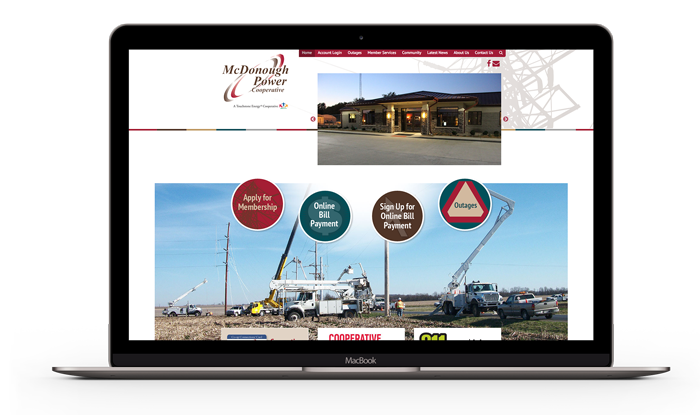 McDonough Power’s site was designed to better organize the wealth of information presented, with particular attention to their home page. Their most recent refresh has kept the bright, cheery and open look that their previous site had with some new and exciting upgrades. The site is now built on wordpress with Energized Graphics CMS customizations.